So it has been a good minute! I have found out that new updates on a old computer equals disaster. I do not have a solution for pictures as of yet & have a bunch to add, guess it will need to happen on the lap top! 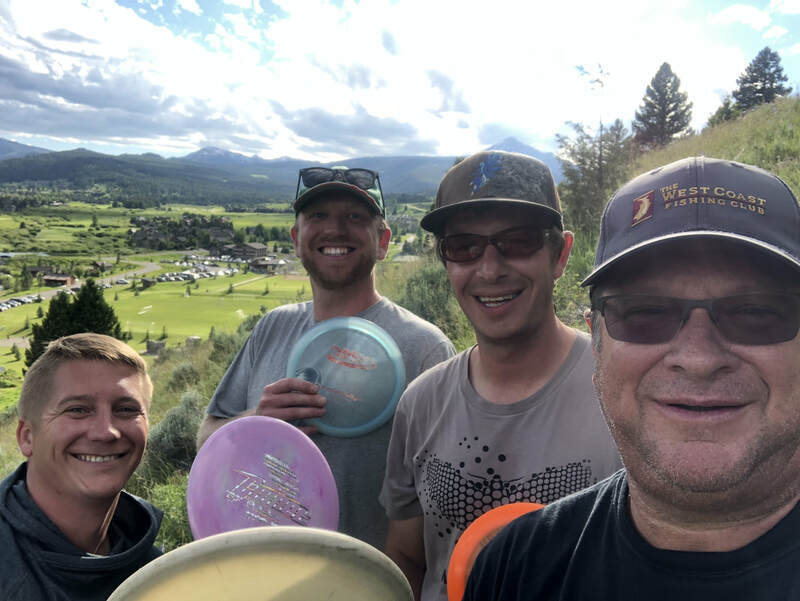 The Vintage Cup celebrated its 25th year a few weeks back, I was there for all of them, not counting when we did 2 weekends a few times, I just played my division weekend. It was great fun & the club is a big reason why it is such a great event, thank guys! The latest additions to the collection come from many friends helping keeping me up to date on the latest golf discs, nothing really good has been added in the old plastic arena! The foundation on the barn is in, this will be the location of the collection sometime by the end of this year. Went Heli Boarding & that was a blast! Have a CT scan later this week, guess that will be a blast too! 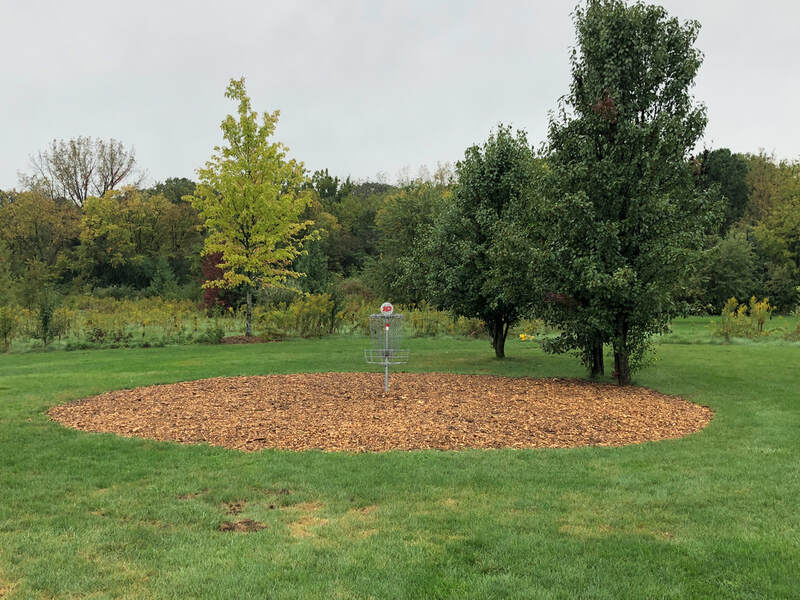 Collector convention is in the works, if all goes well it will be at the Disc Golf Center during the Hall of Fame inductions, hope to see you there! & then there were 4! I have wrote that when I started collecting I did not have a direction. I have also wrote that Victor's book gave me stuff to shoot for. I have also noted that when I got Ralph Williamson's collection he had a bunch of Pluto Platters. This was my early direction. To fill the gaps in Ralphs Pluto collection. Along the way I found my self at Phil Kennedy's house where he showed me a 5th style ( double esker ) that we later traded for. 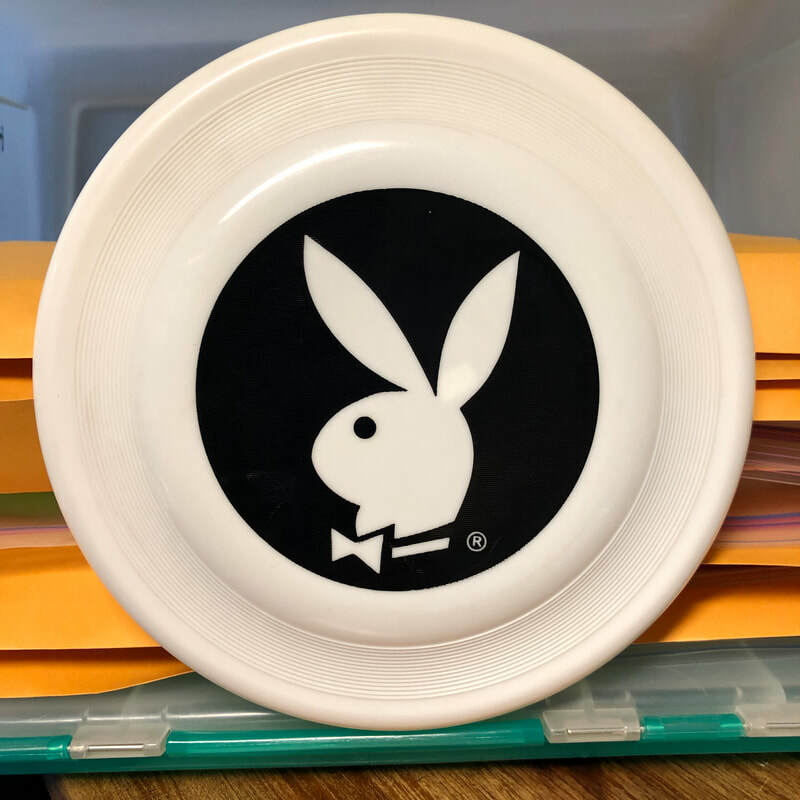 I also found a American trends Pluto platter on e bay! Dan at DTW helped me with a 6th style & after finding a second I did a trade with Phil for a 4th style giving me all molds. Along the way I found a white WPP1 & a unknown color ( blue ) in the 4th style. Thanks John Kirkland! the blue was in the package & I traded my double esker in the package to give John all the styles. I got to know most the collectors in this area & know that there are only 3 of us that have all the Pluto Platter molds.. Then Father Lyle comes back into the fold. Father Lyle being one of the oldest disc sleuths, it was good to get to know him. Now with renewed interest Lyle wanted to be only the 4th known person to have all Pluto molds. Having found 2 more ATPP I worked a deal with Father Lyle. I think I am in good company! 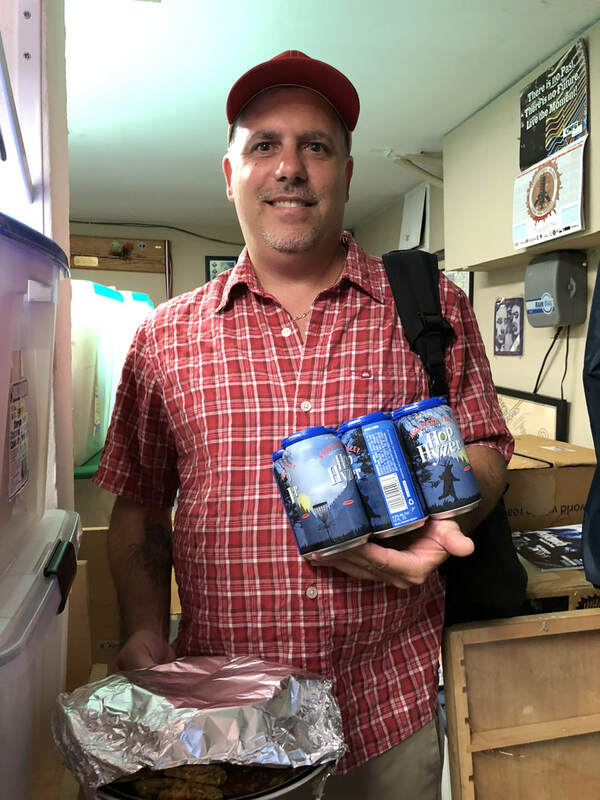 The " Good Egg Award " goes to my buddy Jim Marino, Jim showed up to a poker game at the secret Frisbee basement with homemade appetizers & beer with disc golf on the cans! 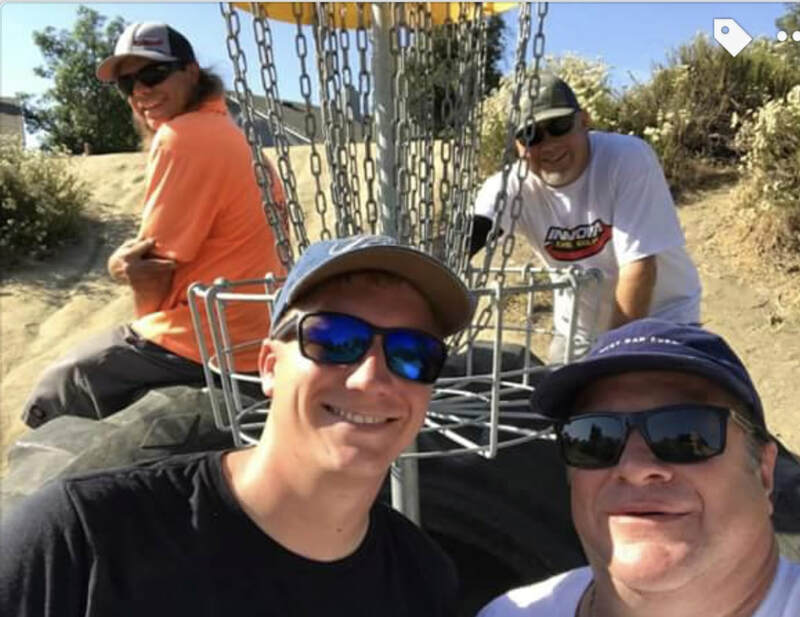 I got to know Jim over the years on the disc golf course here in Napa ( Skyline Wilderness Park ) Jim has become a fishing buddy making the annual trip to Cabo the last several years! Jim also has a love of old school Metal music, we have seen many a cool show! Now he joins in on my Band " Mid-Life Krysis "playing harmonica & working the sound board! A good dude you can count on! & the cool people just keep on coming! Once again, everywhere you go your frisbee family is there to welcome you!, Jacque, Jeffery, me, Danny, Brandon & Connor. 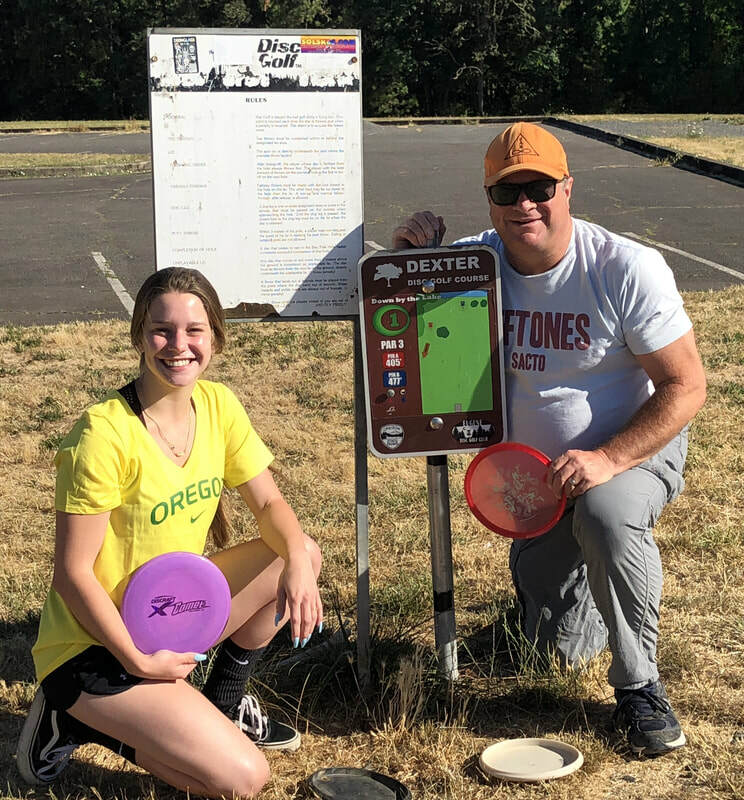 Played the bag tag weekly at Dexter Oregon! Is Jacque going to be a Duck? 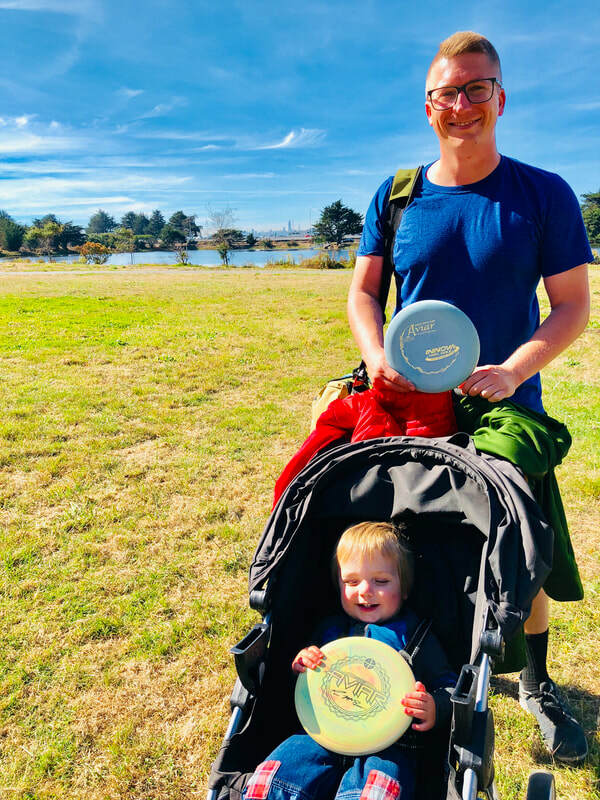 Ryan & I are getting around, Last weekend we were in Southern California & played a new course in Murrieta, & as always we meet local folks that are cool! Here we have Jayson Young, Ryan, Matt Stilinovich & myself, the weather was super hot, we got in a round starting at 7am. My putting is strong as far as I hit the what I call garage putts, in a 2 car garage you should be making 100% & on the course there are short putts that were testers for me this last year, changing my putter but more important, I got out of my head & just played. Feels good! Now if I can just keep it going into the fall & winter, my game struggles in the winter, but now, I am flying high! Looking to play the local weekly at the home course this week.